A Tupac Shakur fan who had similar ideologies. Born to a single parent in Africa, it is interesting to see how Tupac had an impact on this young man and to many young kids in different parts of the world. Edwin Henry Kurias poems and lyrics reveal similar premonitions like Tupac, and it is amazing that these premonitions came true. Edwins messages are clear and have a strong impact. Like Tupac, th… e poems embrace his spirit, his energy...and his ultimate message of hope. 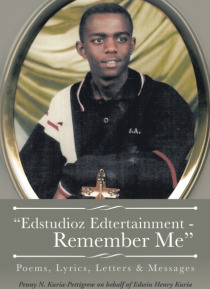 This book will surprise you and it is a mirror image of a how a young Tupac fan in Africa presents and conveys his most honest thoughts and feelings written in his own hand from the age of 13 until his untimely demise at 17. Could this be the blooming of the roses that grew from concrete?